Over the past few years, I have received emails with a variety of questions regarding my PCB fabrication technique, so I thought I could create a page giving more details. The only techique I ever successfully used for etching PCBs is the following. I never tried the toner transfer method, nor did I ever try the peroxyde + muriatic acid etching technique so I cannot comment about those methods. You can get away with thiner artwork. This is always becoming more and more necessary. All the vias are through plated, so no more endlessly soldering small pieces of wire to connect them, and no need to adapt the artwork with great pain to reduce the number of vias. The end result with the green (or other color) solder resist paint not only looks great, it also prevents a lot of accidental solder bridges. 4 layer boards are possible. 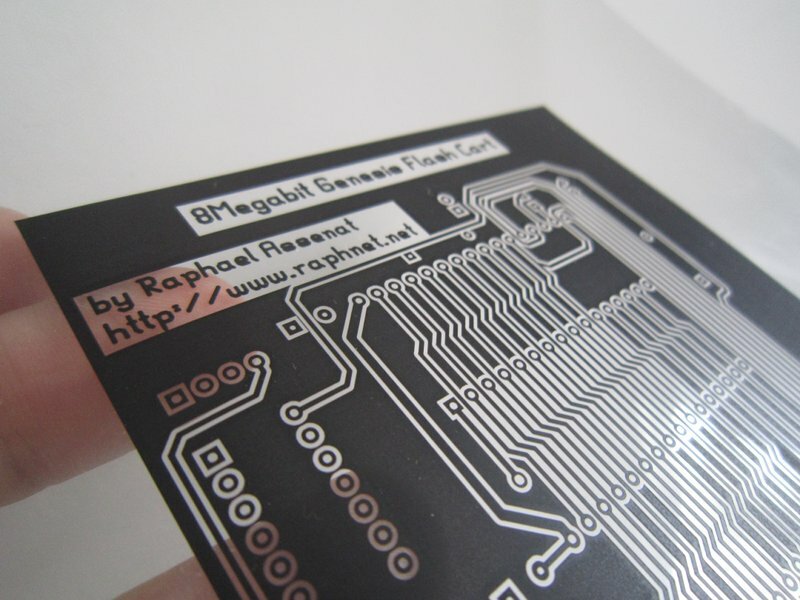 Perform photo transfer using photosensitive copper clad boards. Finding the right distance and timing is a function of the type of boards you use and of your light source. Also, making sure there are no shadows and that the transparency sheet is maintained as close as possible to the board is a must. I used a thin glass panel for this. Thin to prevent absorbtion of too much UV, but still heavy enough to do the job. Etch using Ferric Chloride. This always took time, but with the right setup it can be speedup a lot. I once had a vertical tank, with an acquarium heater and air bubble maker in the bottom. I don't remember the exact time it took to etch, but I can say it was way faster than manually agitating at room temperature. A simpler way I once used was manual agitation combined with bain-marie style indirect heating. Remove the photo resists with 99% isopropyl alchool. Step 5 and 6 are optional. Soldering despite the presence of photo resist works quite well, and the photo resist protects the copper. But I did not like what it looked like so I usually performed steps 5 and 6.